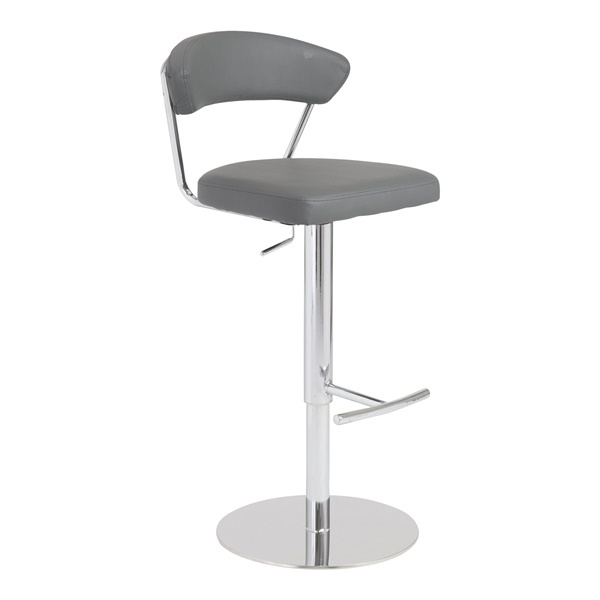 Add a touch of luxury and elegance to any room with the Draco Bar/Counter Stool by EuroStyle. The chair features a leatherette over foam seat and back, making it simple for any guest to enjoy exceptional comfort. Plus, the adjustable stool includes a contoured back and a chromed steel column, footrest and base that help make it a stylish addition to any room. Provide your guests with a sophisticated, modern seat -- the Draco Bar/Counter Stool. What is the lowest seat to floor distance? The minimum seat height is 22" and the maximum seat height is 30".